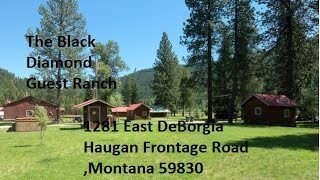 Phone #: 406-678-4000	Mention RentMontanaCabins.com. The Owner has been an Outfitter (Montana Outfitter License #27195) for over 25 years and offers drop camp experiences for anglers and hunters for all hunting seasons. 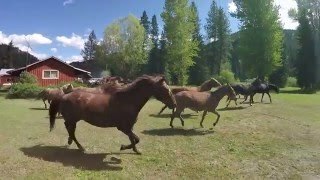 Take a horse and pack-mule ride through the beautiful Lolo National Forest. Sleep in a 16’ x 20” soft sided tent with wood floors (in drive-to camps) and cast iron wood-burning stove for your heating comfort. A cook with a separate 16’ x 20’ dining tent is available, and wrangler will be available to assist with your forest adventure. Customized packages available. Call for per-person quotes.